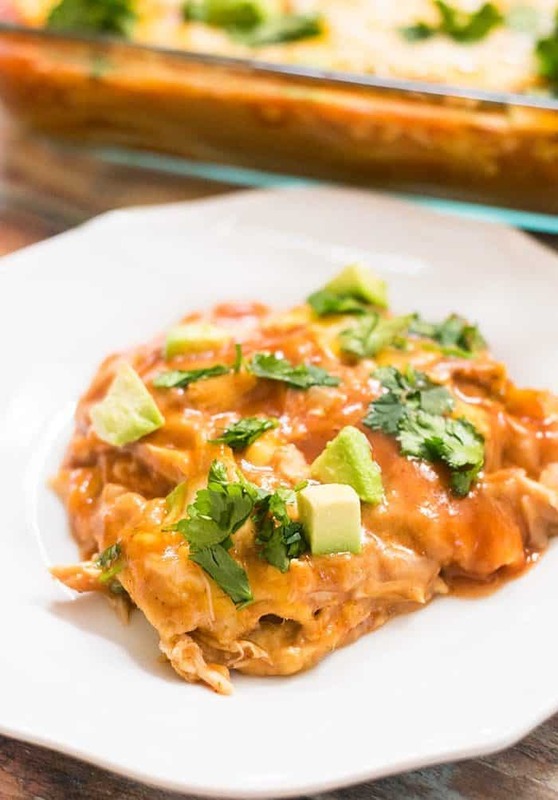 This incredibly easy chicken enchilada casserole is the perfect way to use up leftover chicken. 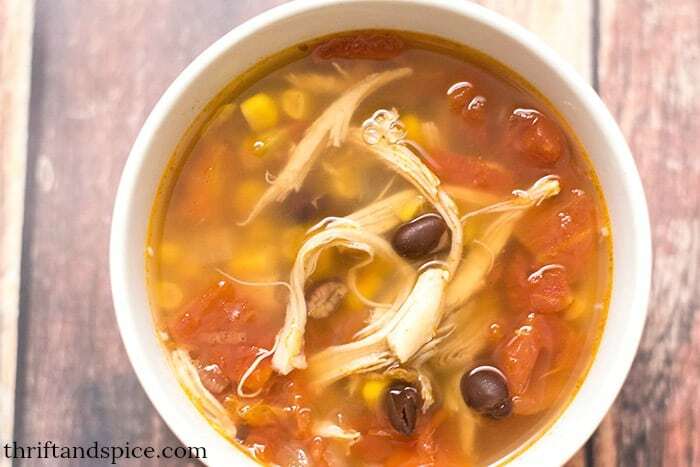 It’s a super quick meal to throw together and takes just 30 minutes to cook. Do you like chicken enchiladas? Well then, you’re going to love this easy chicken enchilada casserole! It’s basically chicken enchiladas in a less complicated form but with all the yumminess. This deliciously simple recipe requires just six ingredients some of which you may already have on hand. 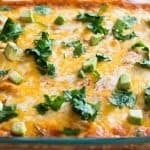 Busy moms everywhere will love this easy chicken enchilada casserole recipe and so will their entire family! 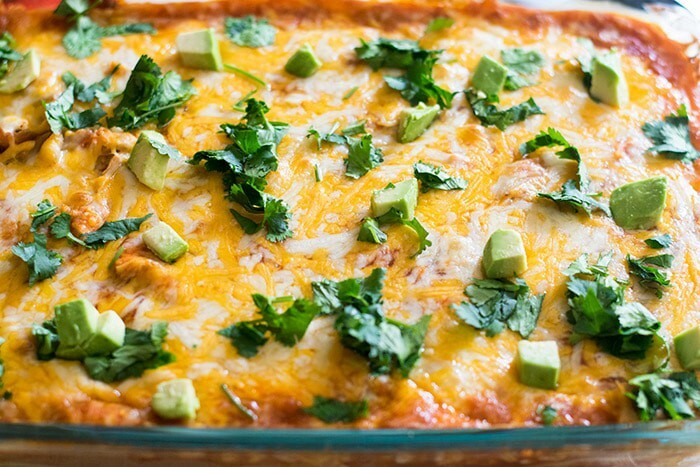 This amazing easy chicken enchilada casserole is now one of my favorite meals. Not only did my husband and I like it but so did my kids! And that’s really saying something. Unfortunately they have become such picky eaters that I recently had to start buying PediaSure for them. I shouldn’t be surprised though as my sister and I were the exact same way when we were kids. All we wanted to eat was cereal. And fast forward twenty years later all I want to do is eat everything! This year I’ve got to start making healthier choices or at least eat smaller servings but it’s so hard for a foodie like myself… ughh the struggle is real y’all. Anyways I was so very pleasantly surprised when they actually liked this easy chicken enchilada casserole. I was ecstatic! It’s hard to find meals they will eat so I’m keeping this one in rotation until they inevitably decide they no longer like it. Which hey it could be tomorrow I never know with those two! The first thing that you’ll need to do is preheat your oven to 350. Now heat up about a tablespoon of oil in a pot over medium heat. Once the oil is hot saute the onion for a few minutes then add the refried pinto beans and cheese and stir well. Let the beans cook until the cheese has melted then remove from the heat. 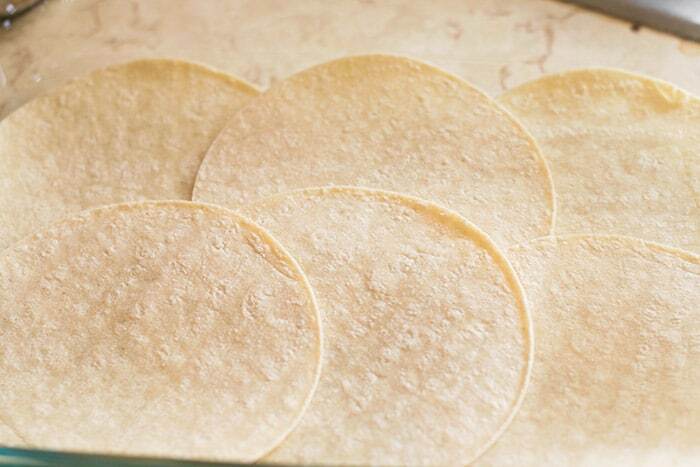 Now take 6 tortillas and cover the bottom of a casserole dish with them. I used a 9 by 13 dish. 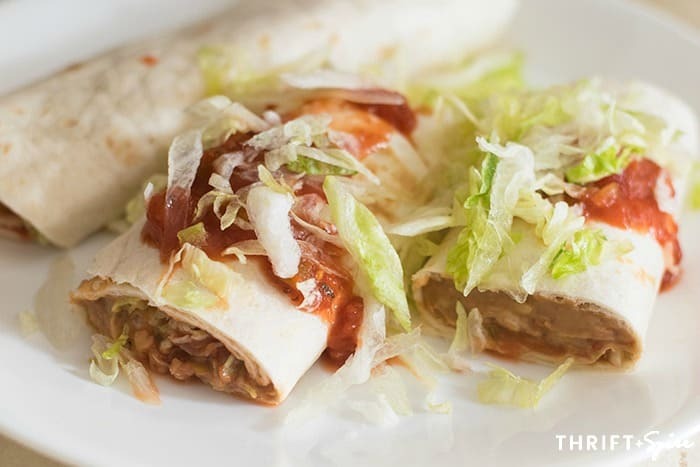 Spread a layer of beans on top of the tortillas. Leave half of the beans in the pot. 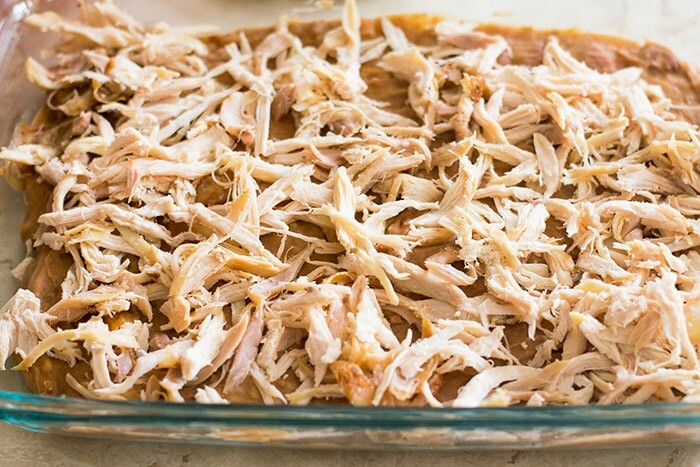 Then top with half of the shredded chicken. Place six more tortillas on top. Add another layer of beans and chicken. Then add the enchilada sauce and top with cheese. Now stick this in the oven for 30 minutes. Top it with your favorite garnishes. I’m obsessed with avocados and also like cilantro on mine. The garnishes add even more flavor to the easy chicken enchilada casserole. Switch out the refried pinto beans for black beans if you prefer. If you make your own beans use those (it’s cheaper!). Use rotisserie chicken for added flavor. 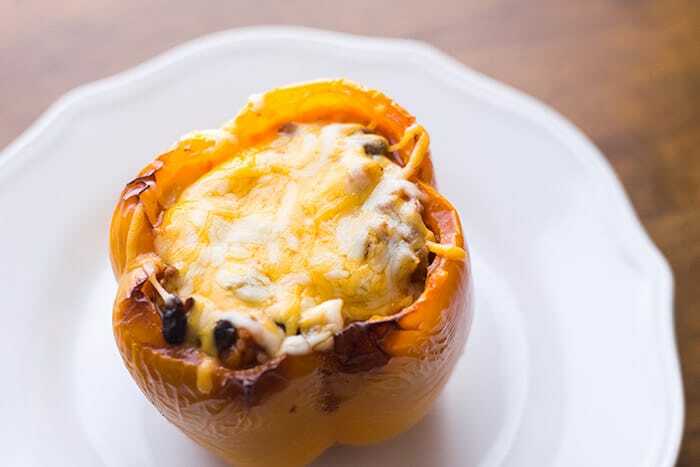 If you have shredded pork or beef that would also work fine in this recipe. Use your choice of shredded cheese. I used cheddar jack but pepper jack would be great for adding a little heat. Avocados, cilantro, lettuce and onion make great garnishes. If you don’t have beans you could always use rice instead. Are you looking a new casserole dish to try? Look no further, this is the one! Once you try this easy chicken enchilada casserole I guarantee you it will become a family favorite! A simple and delicious easy chicken enchilada casserole recipe that ready in 30 minutes. Add oil to a pot over medium heat. Once hot add the onion and saute for 2 minutes. Add the beans and ½ cup of cheese to the onions and stir well. Cook until cheese has melted and remove from heat. 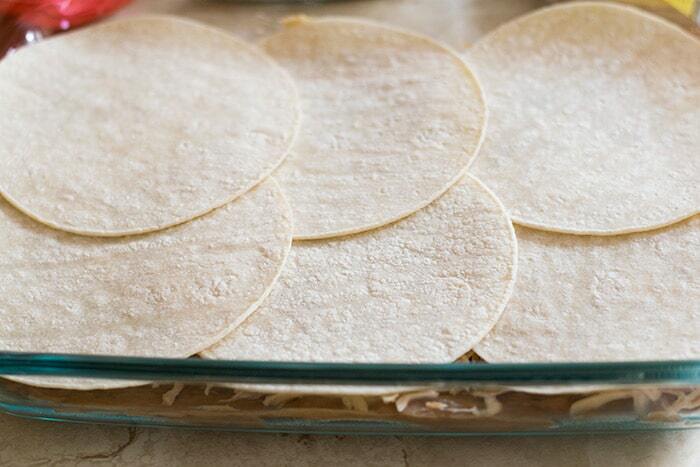 Cover the bottom of a 9 by 13 casserole dish with 6 of the tortillas. Spread half of the beans on top of the tortillas. Top with some of the chicken. Add another layer of the remaining 6 tortillas on top. Add another layer of the remaining beans and chicken. 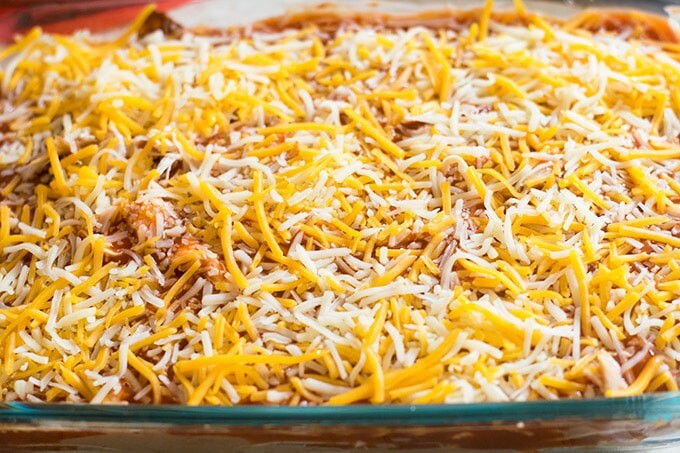 Pour the enchilada sauce on top and sprinkle the casserole with the remaining cheese. Garnish with avocado, cilantro, onion, etc. 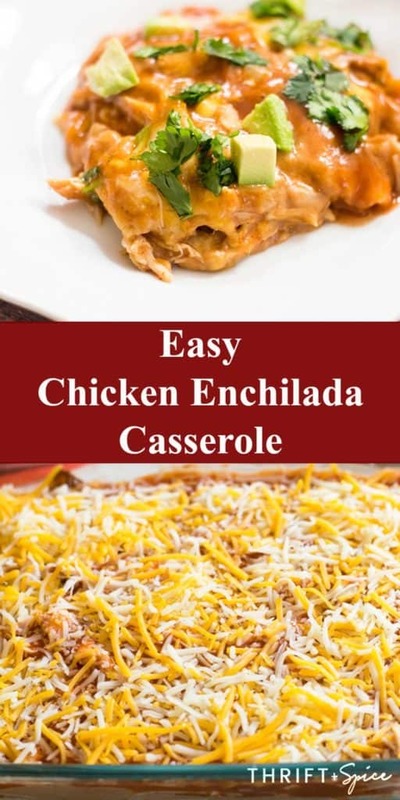 If you liked this Easy Chicken Enchilada Casserole recipe you might also like….